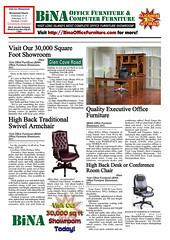 Bring BiNA Office Furniture in to heal your doctor office blues. We're able to help you plan out the best use of your waiting room space to maximize capacity and provide comfort for your patient visitors. 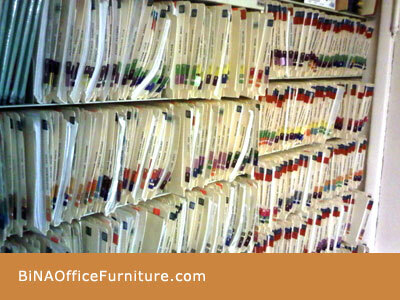 Keep your office in top-top health with HIPAA compliant medical patient filing for your records room. We work with you to get the best filing solution for your dollars. “Are you shopping for your house? Are you shopping with your spouse? Do you need a comfy leather chair? 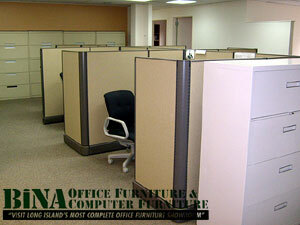 Visit Long Island's Most Complete Office Furniture Showroom -- Today! We can help you make the most sense of your available office space & set your mind at ease. No use fretting over how to make the best use of your office furniture plans - just come on in and let our experts solve your space plans for you. Pencil sketch or Architect, it's all English to us! No mysteries to unravel. No confusion at all. All we need is you and the approximate dimensions of your office space. We'll work with you right away to make it happen - the desk, cubicle or conference table you need. Suss out the reception desk and waiting room furniture too. We've got it all here, all we need is you to tell us what you need and when. Well we can't make you famous, but we can save you a fortune on top quality office furniture for your business budget. We're proud of our huge selection and 30,000 square foot Online. Come in today and browse our showroom samples of conference and reception room furniture, executive and guest seating, traditional and contemporary furniture, in wood, leather or laminate. It's here at BiNA Office Furniture. We carry bookcases and file cabinets too. What can we do for you today, New York? Will you store it for a while? Will you store a legal file? We've got the right sized file storage solution for your available office space. Store your redwell boxes too! Just tell us how many of how much you need to store where! Corporate mailroom furniture and storage units. Store either letter or legal sized files in any of our lateral file cabinets. Visit showroom for complete selection and details. When you want to get the greatest value in office furniture shopping today, BiNA Office Furniture is your source lead for the best shopping deals in New York! 30,000 Square Feet of Fabulous Office Furniture values! 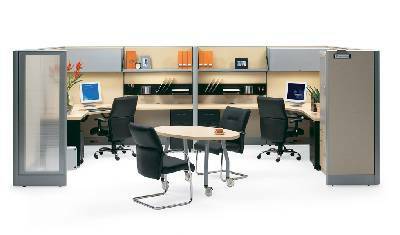 Visit Long Island's Most Complete Office Furniture Showroom! Tired of your OLD desk? Time for a NEW desk! Shop for a NEW desk! Check our current RED HOT DEALS and SPECIAL VALUES for great discounts on office desks, file cabinets, reception desks, conference tables, chairs and more! Visit BiNA Office Furniture Online today to learn about our bargain budget buys for office cubicle and all office furniture we carry in our 30,000+ sq ft warehouse showroom floor. 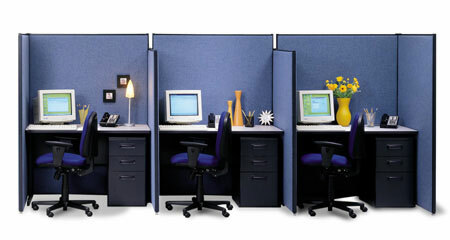 Experience quality with our Herman Miller Lookalike Cubicle series. Metal frame construction with fabric panels, glazed windows, corner desktops, are all just a few of the features of this cubicle series.